In Russia, Aleksey Tolstoy is mostly known as the author of novels such as Aelita, The Hyperboloid of Engineer Garin, The Ordeal and Peter the Great. 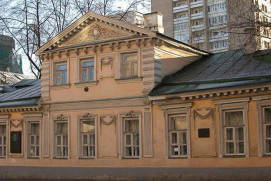 Aleksey Tolstoy’s Flat is located on Spiridonovka Street, on the territory of the Ryabushinsky Mansion. 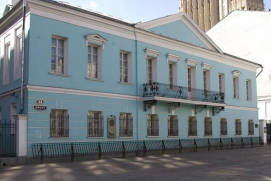 The same building accommodates Maxim Gorky’s Museum. 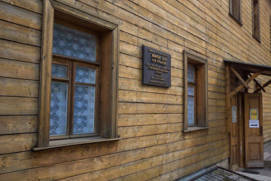 Tolsoy lived here from 1941 to his death, 23 February 1945. 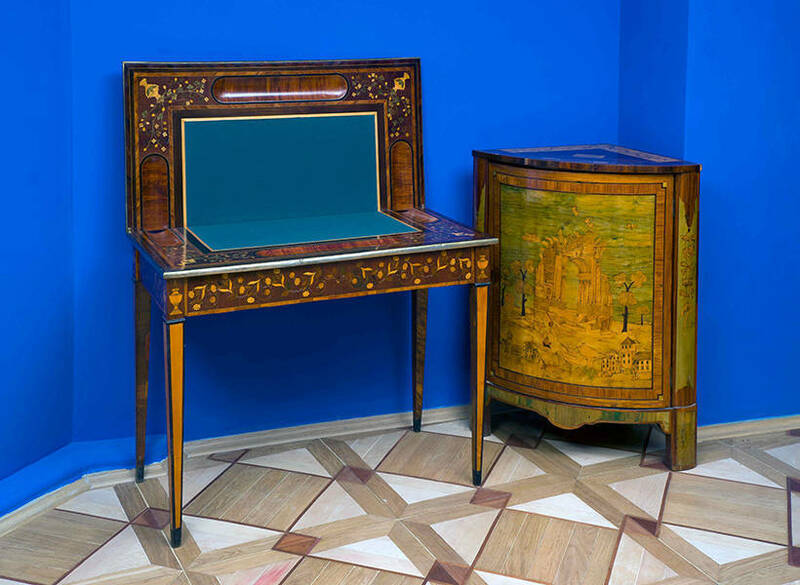 Many exhibits have a long history as the master of the household was very picky when it came to choosing antique furniture, paintings, lamps and porcelain. Among exhibits are paintings by Hieronymus Bosch and by Russian artists such as Fyodor Rokotov, Karl Bryullov as well as numerous curiosities. 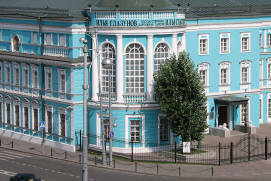 All information in this Museum is available in Russian only. 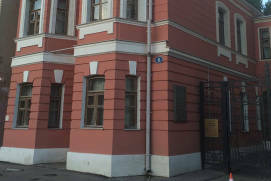 The Alexey Tolstoy (1883-1945) Memorial Apartment is located on an historic Moscow street called SpiridonovkaRussian: Спиридоновкa on the premises of the Ryabushinskys’ estateRussian: usadba Ryabushinskikh or усадьба Рябушинских. 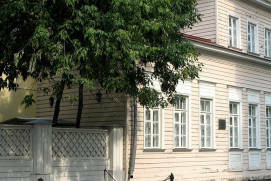 Tolstoy lived in this house from 1941 until the day he died. 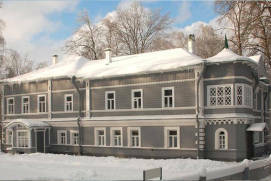 The Aleksey Tolstoy Memorial ApartmentRussian: Muzey-kvartira Alekseya Tolstogo or Музей-квартира Алексея Толстого occupies an annex of the old mansion. 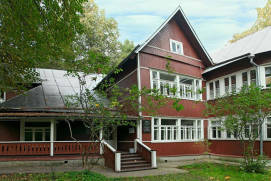 The main building of the Ryabushinskys’ mansion houses the Maxim Gorky MuseumRussian: muzey Maksima Gorkogo or музей Максима Горького dedicated to that classical Soviet author. 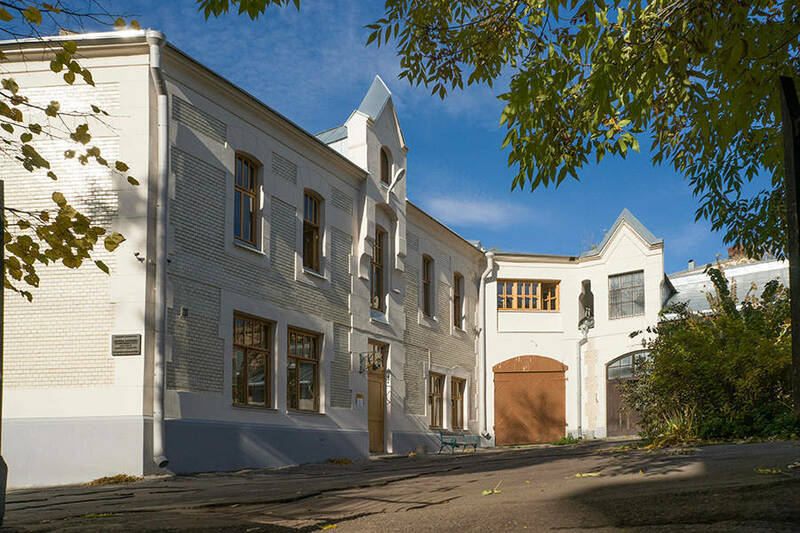 Built in 1900-1903 to the design of Fyodor Shechtela Russian architect, the most influential and prolific master of Russian Art Nouveau and late Russian Revival, the main building is recognised by historians as one of the best examples of Moscow Art Nouveau architecture. 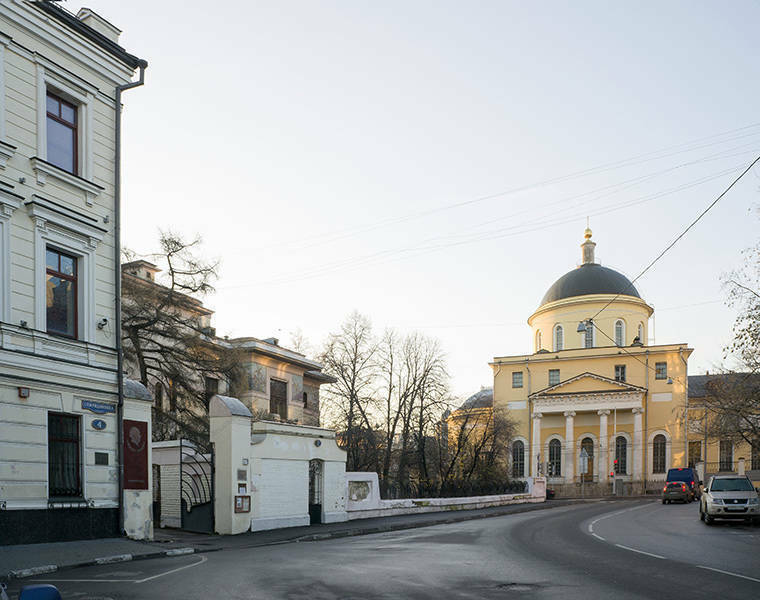 In close proximity to the museum is the famous Great Ascension churchRussian: tserkov Bolshogo Vozneseniya or церковь Большого Вознесения where poet Alexander Pushkin’s wedding took place. 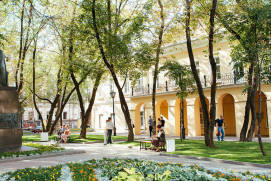 It is also located near the Gorky Museum, as well as unique Art Nouveau mansions built by wealthy citizens in the early 20th century. 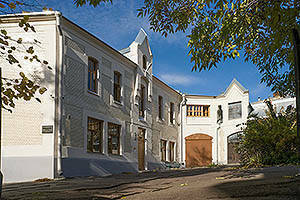 The whole neighbourhood has preserved the unique atmosphere of the era. 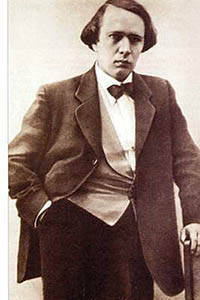 Aleksey Nikolayevich Tolstoy was Count Nikolai Tolstoy’s son and writer Leo Tolstoy’s distant relative. His mother’s name was Alexandra, née Turgenev. Tolstoy’s novels have become Russian fiction classics. In Russia, he is well-known and as the author of sci-fi novels ‘AelitaRussian: Аэлита’ and ‘The Hyperboloid of Engineer GarinRussian: Giperboloid inzhenera Garina or Гиперболоид инженера Гарина’. He is also known for his historical works such as the novel, ‘The Road to CalvaryRussian: Khozhdenie po mukam or Хождение по мукам’, dedicated to the First World War and the revolution of 1917, and ‘Peter the GreatRussian: Pyotr Perviy or Петр Первый’, which tells of the era of the Petrine reformsduring the reign of Peter the Great from 1682 until 1725. 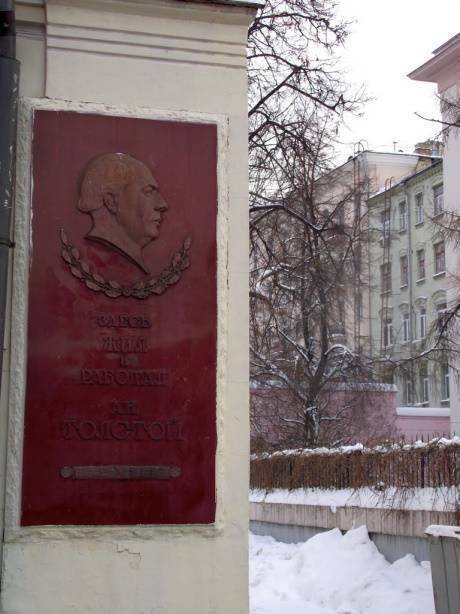 He is also recognised as the author of numerous plays and stories for children, including the famous ‘Golden KeyRussian: Zolotoy klyuchik or Золотой ключик’. 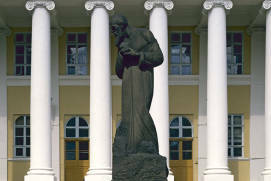 In recognition of his literary work, Aleksey Tolstoy was awarded three Stalin Prizes . He was as much praised as he was criticised during his lifetime. His contemporaries described him as a talented and powerful writer, a witty narrator and a friend of Stalin’s. After he had returned from exile abroad, Count Tolstoy was able to take his rightful position in the Soviet Union. 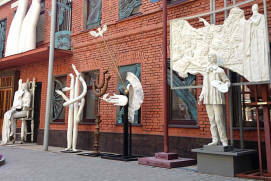 In his works such as ‘Peter the Great’, echoes of Stalin’s transformation of society can be seen. 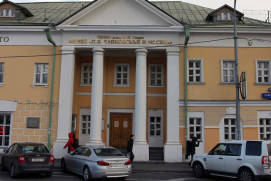 His return to the Soviet Union did not prevent him from leading a life worthy of a Count. In his private life, the writer was fond of a good time. He loved and appreciated female beauty, elegant accessories and a good meal, and wore fashionable and stylish clothes. 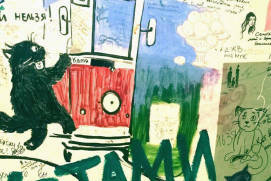 “The master himself is witty, rude, resembles a tank and loves meat,” a contemporary of Tolstoy’s wrote. It is believed that Tolstoy used himself and his friends as inspiration for many of the characters of his novels. 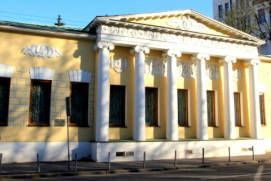 Besides the gorgeous Kremlin and Red Square, there are a lot of outstanding historical landmarks in Moscow. You should visit Novodevichy convent, Moscow cathedral of Annunciation and other unique sights. 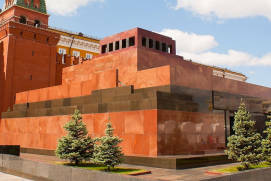 You can read about them on our website pages about the Moscow Kremlin, “World religions in Moscow” and “History and Architecture”. ‘The Golden Key, or the Adventures of BuratinoRussian: Zolotoy klyuchik. 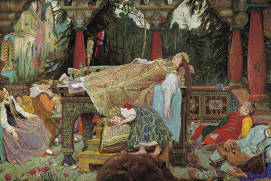 ili Priklyucheniya Buratino or Золотой ключик, или Приключения Буратино’ has become the hallmark of Tolstoy’s children’s work. 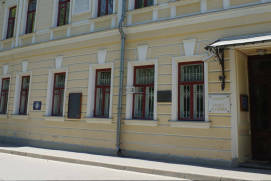 As you are approaching the museum, you will see a sign shaped like a small golden key directly above the entrance. 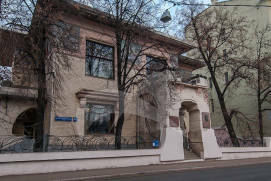 In this house on Spiridonovka street that he inhabited until his death on 23 February 1945, Tolstoy organized literary evenings and worked. 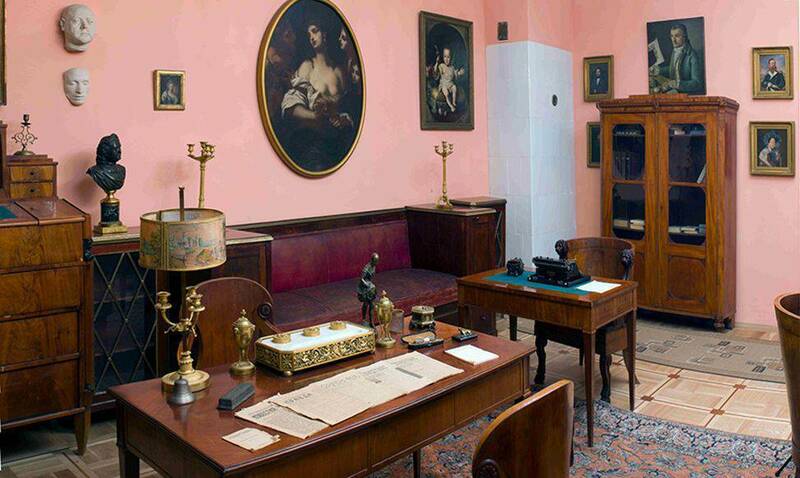 Tolstoy received visitors in the drawing room in the large red hall. 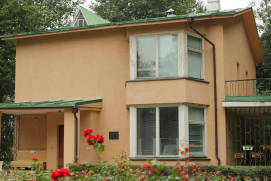 Some outstanding people of the 20th century such as P. Korin, A. Tvardovsky, P. Kapitsa, G. Ulanova, K. Chukovsky, I. Ehrenburg, V. Kachalov, I. Moskvin, S. Mikhoels, I. Kozlovsky were welcomed guests in this house. 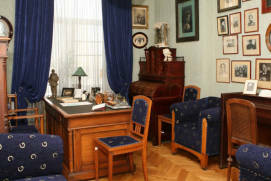 The interior of the museum has not changed since the writer’s death. 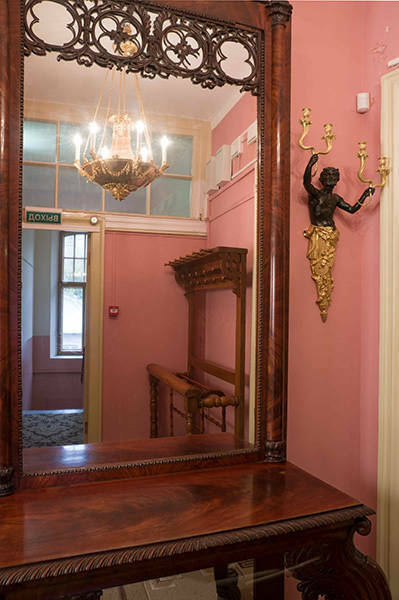 The apartment is located on the first floor of a two-storey building and consists of a corridor, a study, a drawing room, and adjacent rooms. 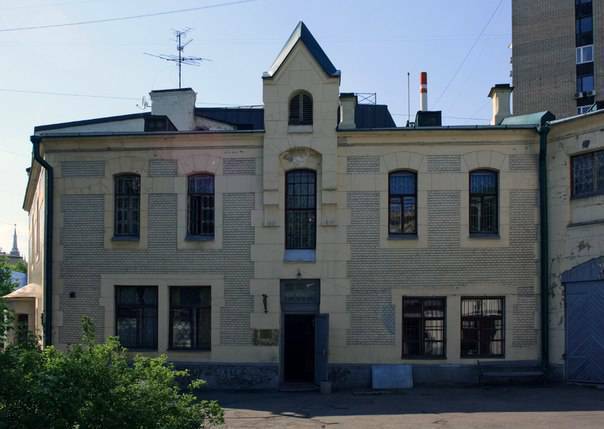 It was within these walls that Aleksey Tolstoy created the novel ‘The Road to Calvary’, the third part of the novel ‘Peter the Great’, and the saga of stories ‘Tales of Ivan SudarevRussian: Rasskazy Ivana Sudareva or Рассказы Ивана Сударева’. 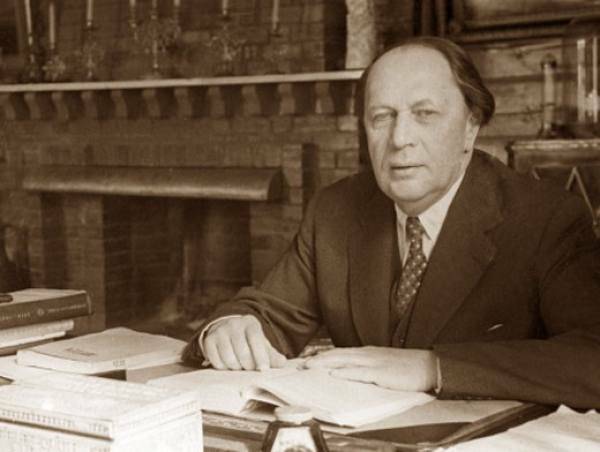 During the Great Patriotic WarWorld War II, he visited battlefields, headed a Nazi crimes commission, and wrote about the heroic deeds of soldiers on the battlefield. Many of the museum pieces have a long history. 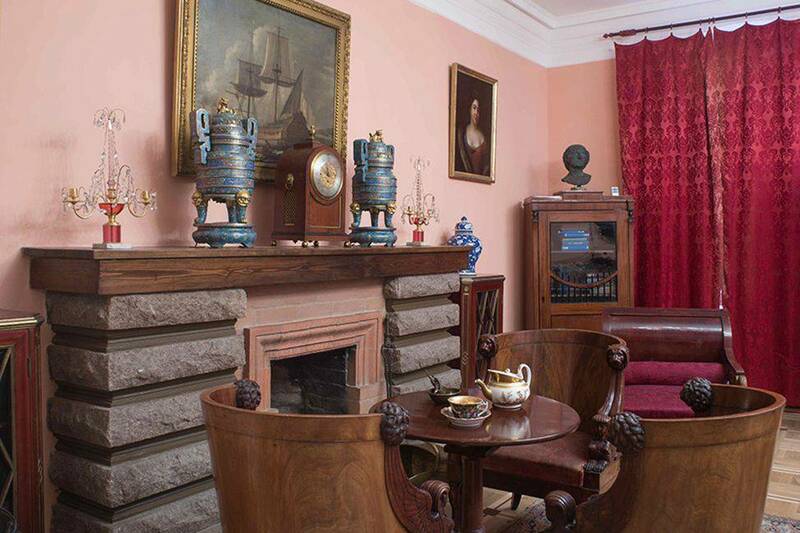 This includes the antique furniture, paintings, lamps, and porcelain, which were all carefully selected by the owner himself. Tolstoy was a great connoisseur of 16-20th century Russian and Western European art, being particularly fond of female portraits. 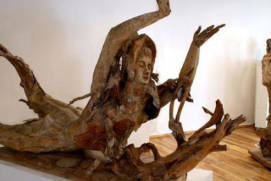 He collected objects of decorative arts and crafts and took an interest in oriental culture. Fascinated by the Peter the Great theme, the writer collected anything related to the Petrine era, including portraits of the Emperor, his wife Catherine I, and Hetman Danylo Apostola Ukrainian Hetman of Zaporizhian Host from 1727 to 1734, cast models of a facial recreation of Peter the Great, and some objects that were in use at the time: scribes’ inkwells, a candle holder and a ship’s clock. As part of the museum collection, you will see a collection of porcelain, objects made of bone and metal, furniture created by Russian and Western European artisans, all kinds of incense burners, Chinese vases, and inkwells. 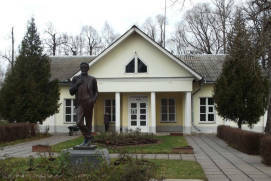 The museum also exhibits the writer’s unique library. There are 18th century publications, the Turgenevs’ “Masonic” collection of books and Tolstoy’s own early editions of his novels. 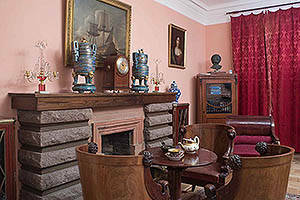 One of the attractions of the museum is the 18th century armchairs. According to legend, these armchairs featuring lion head reliefs dating from the Empire era belonged to Emperor Paul I and were in the palace at the time of his death at the hands of conspirators. 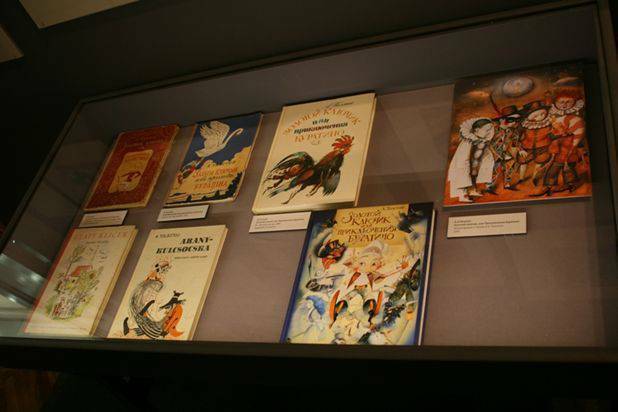 Among the exhibits of the museum are paintings by Hieronymus Bosch, Russian artists Fyodor Rokotov and Karl Briullov, and a host of bizarre objects such as a portrait of Peter I created of matches. 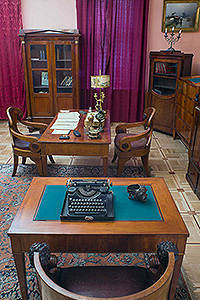 In the center of the study is Tolstoy’s desk with the typewriter which he used to create his works. Inserted in it is the final page of the novel ‘Peter the Great’ dated 22 June 1941, i.e. the day when the Great Patriotic War began. 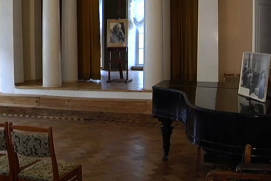 In the museum, you can see Aleksey Tolstoy’s favorite pipes. A heavy smoker, he saw a pipe not only as a tribute to tradition but also as part of his image which he took special effort to create and stick to. To him, a pipe symbolized elitism and was even part of his creative process. That’s the way the writer was remembered by his contemporaries: “He was a fascinating speaker. He would sit down into an armchair, his legs crossed. 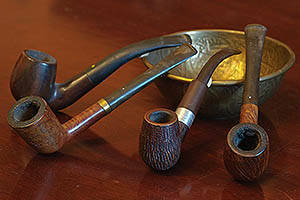 Then, having stuffed his meerschaum pipe with Kepsten tobacco and occasionally sucking on it, he would talk about a great variety of topics” (S. Dymshits). 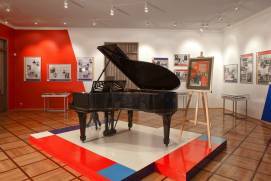 Another special feature of the museum are the echoes of the “Silver Agean exceptionally creative period in the history of Russian poetry of the 19th century and first two or three decades of the 20th century” of Russian literature, in which Aleksey Tolstoy was a keen participant. 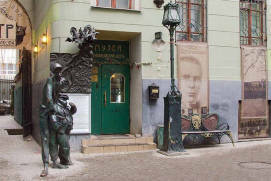 Visitors not only learn about the writer himself, but also about the atmosphere of the first decades of the 20th century in Russia, the era marked by an advent of remarkable and creative personalities, fateful historical events and the unceasing development of great Russian literature, part of which is Aleksey Tolstoy’s creative work. 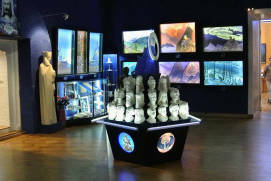 From 100 to 250 rubles depending on visitor's category and programme of visits. I went to the museum quite by accident. The admission fee is low, but I would advise you to take an additional tour. Much of Aleksei Tolstoy's life is unknown. The person was not ordinary, so just walking around the museum you may not see everything, if you do not read about the life of this writer in advance. I would mention furniture and especially a sofa, which the owner called erotamanka - witty, is not it? 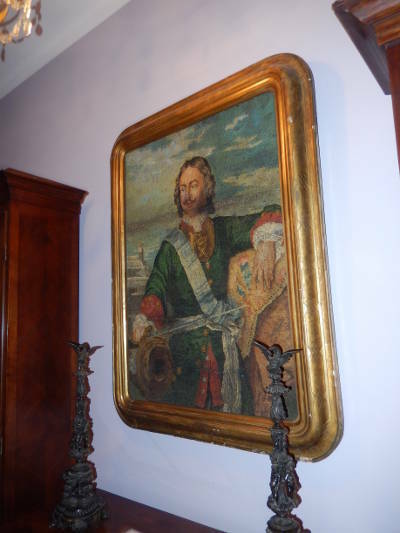 There is an interesting Peter the Great's portrait, made of matches previously dipped in a vitreous mass of different shades. Lovers of porcelain would probably like the early Gardner teapot and the vestiges of the Wedgwood dinner sets. In general, little things are not enough, all is in the storerooms. In this museum I always feel that the owners have just left. Thank God, there were no outsiders living here, and everything is preserved as it was. Therefore, there are no descriptions under the pictures. 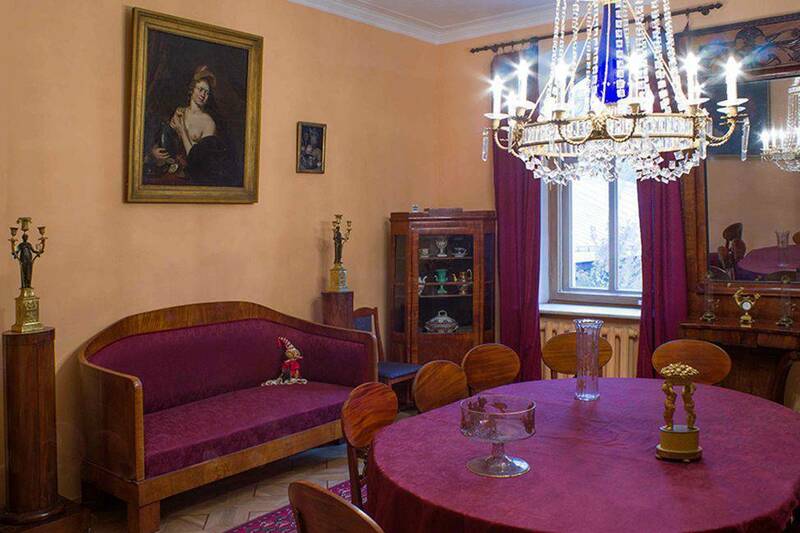 This is a museum - APARTMENT. Who will hang descriptions at home? A very nice Buratino sits on the couch. 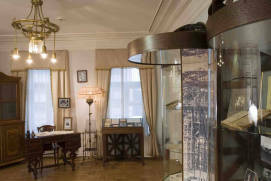 In the corridor there is a trunk of Peter I, acquired by Tolstoy. And I had an interesting idea. 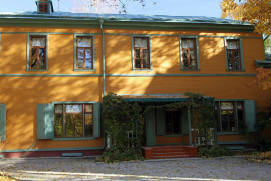 The government gave a whole mansion to proletarian writer A. M. Gorky who had returned from Italy. 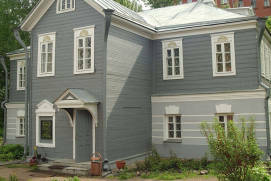 And count-writer returned from the emigration was housed in the annex of Ryabushinsky's servants. The corridor in the annex is narrow, and the apartment of not thin "Soviet count" can not be called cozy and comfortable, although he had a better life than the main population has. Go, you won't regret it. It's everyday life of an interesting person with good taste.